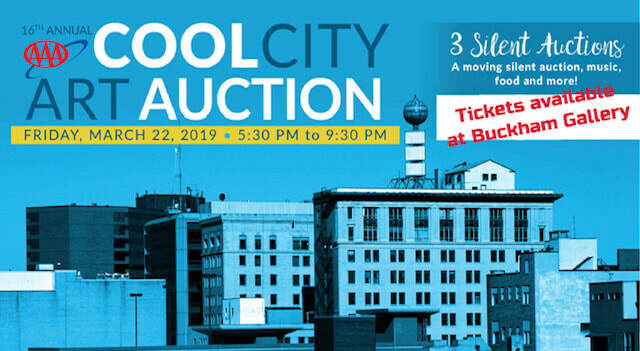 Cool City Art Auction is a community fundraising event that supports arts organizations in Flint. Tickets to the event are $25 in advance / $30 at the door and may be purchased at Buckham Gallery. Works of art for sale are donated by Buckham Gallery artist members and patrons.